Nobody lived in the past, if you stop to think about it. 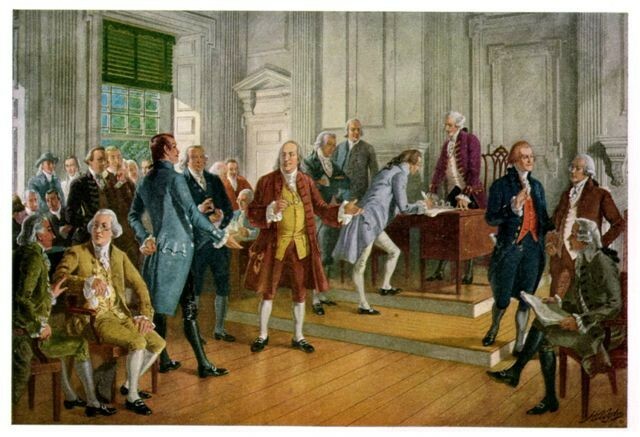 Jefferson, Adams, Washington- they didn’t walk around saying, “Isn’t this fascinating, living in the past?” They lived in the present just as we do. The difference was it was their present, not ours. And just as we don’t know how things are going to turn out for us, they didn’t either. In a 2005 speech, David McCullough makes the point that “history” happens to the everyday man and woman. What makes the story interesting, and thus memorable, is the way the people respond to the events of their time. As the Greek philosopher Heraclitus said, “Character is Destiny,” and McCullough makes the case that our Founding Fathers’ biggest attribute was their character. McCullough encourages the teaching of history to ensure that we, the current occupants of this world, value the gifts we have been given by our predecessors. Thus our precious Democracy will go by the wayside if we fail to teach our young students the value of freedom and personal liberty. It becomes our responsibility as teachers, parents, and educators to instill a love of our Nation and an appreciation for the sacrifices that have afforded our freedoms. One of our favorite books for the young historian. Our Happymess kids love history. We strive to make every century seem relevant and interesting. We use countless sources from illustrated children’s books, colorful atlases, ancient maps, primary sources, personal diaries, illustrated encyclopedias and dense historical dissertations. We love documentary films, old newsreels and historical novels. History is the story, our story. And thus we were very gratified to find a perfect endorsement of homeschool-style teaching in the middle of McCullough’s presentation. 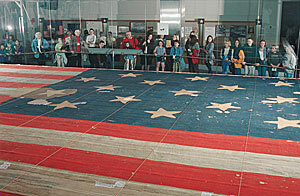 The original flag that inspired The Star Spangled Banner national anthem. We visited this last year in Washington, DC. And we need not leave the whole job of history teaching to the teachers. The teaching of history, the emphasis on the importance of history, the enjoyment of history, should begin at home. We who are parents or grandparents should be taking our children to historic sites. We should be talking about those books in biography or history that we have particularly enjoyed, or that character or those characters in history that have meant something to us. We should be talking about what it was like when we were growing up in the olden days. Children, particularly little children, love this. And in my view, the real focus should be at the grade school level…they can learn anything so fast it takes your breath away. The very important truth is that they want to learn and they can be taught anything. And there’s no secret to teaching history or making history interesting. Tell stories. That’s what history is: a story. And what’s a story? E.M. Foster gave a wonderful definition of it: If I say to you, the king died and then the queen died, that’s a sequence of events. If I say, the king died and the queen died of grief, that’s a story. That’s human. That calls for empathy. And we ought to be growing, encouraging and developing historians who have heart and empathy. I wonder if McCullough knew he was actually accurately describing the homeschool movement and our emphasis on multi-disciplinary, multi-generational and multi-cultural education, all with the purpose of “making it feel real” and thus instilling empathy for all. 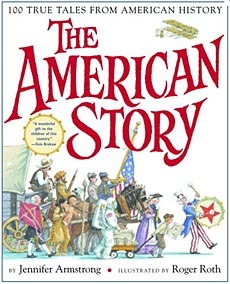 We are grateful for today’s history lesson, which was a portion of Lesson One from Exploring America, a homeschool curriculum designed by John Notgrass. We have used this program before and really love it. Notgrass has written text, quizzes, short-answer questions and essay questions, which cover the myriad facts that together comprise our national history. 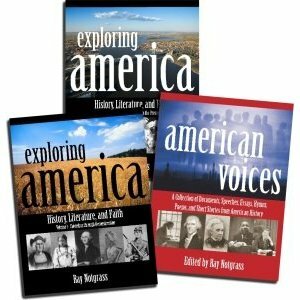 The companion volume, American Voices, is an amalgamated 400 pages of primary sources. 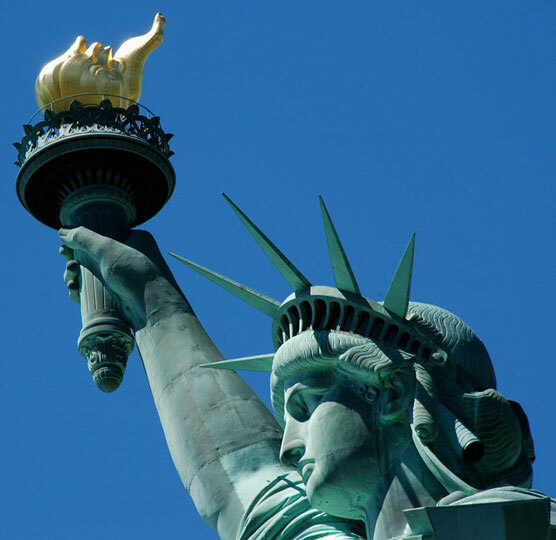 Through these speeches, letters, poems and essays the student of American History can live and breathe the very words of the Americans who built our nation. Let Me Count the Days: Homeschooling is bringing the past to life though original documents and mementoes. I simply love this post, HISTORY is SO important, most people don’t even understand what they are going through, and the BATTLES that took place that are still going on in the present! I totally agree with you. 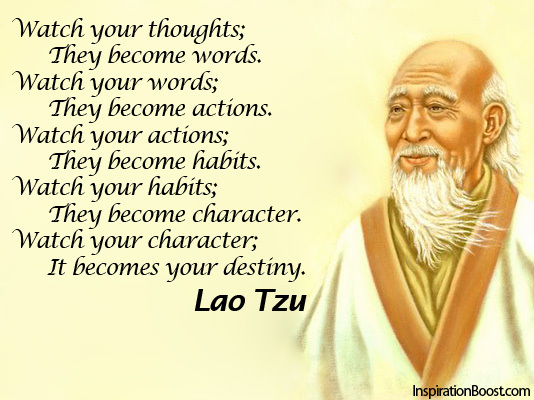 It is so important for people to understand the past in order to preserve the positive aspects of the present.